Nearly a third of Peoria households have children in the home. With children comes the constant barrage of errands, appointments, sports practices, pickups, and drop-offs. Your children’s safety is likely your top priority in life, but everyone makes mistakes. Making the mistake of driving under the influence with a child in the car, however, is one of the costliest mistakes you can make. Without aggravating factors, a first-time DUI offense in Illinois is a Class A misdemeanor, carrying a maximum penalty of $2,500 and one year’s imprisonment. However, the judge will typically grant first offenders the lenient sentence of court supervision. This means you get a probationary period after which, if you fulfill the requirements, the DUI conviction is removed from your record. Everything changes if there is a child under the age of 16 in the car at the time of the offense. Child endangerment laws come into play, which carry steep penalties. In extreme cases, a DUI with a child in your car could ruin your—and your child’s—lives, with the most serious cases resulting in losing custody of your child. 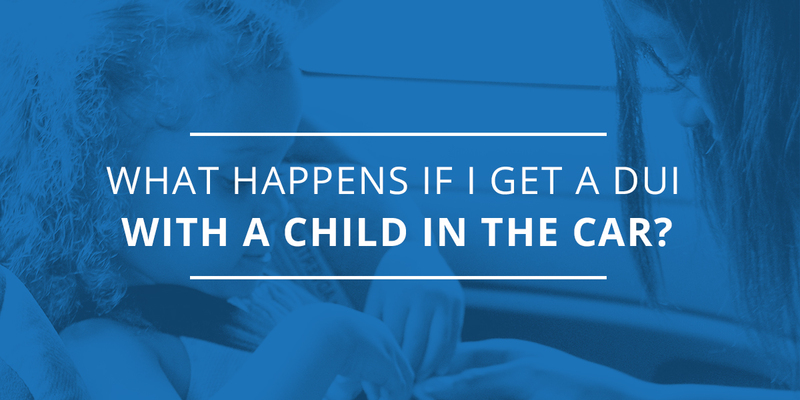 In Illinois, a fourth DUI with a child in the car is also a class 2 felony. With it, drivers can expect the above penalties at a minimum, as well as permanent loss of driving privileges. These stiff penalties reflect the tragic reality that 65% of children who are killed in DUI-related crashes are passengers of the impaired driver. What’s more, one in five child passenger deaths involve an impaired driver. In DUI-related crashes that result in physical harm to a minor passenger, the charge is automatically escalated to a class 2 felony, even if it is a first offense. The consequences for a mistake of this size are huge, and could change your life forever. Your future will rest on the strength of your defense. If you have been arrested for a DUI while your child was in the car, you should contact an experienced and trustworthy Peoria DUI lawyer promptly. The skilled attorneys at Schierer & Ritchie will help you understand the legal defenses available to you and argue your case in court. We are committed to helping you recover from your DUI arrest as quickly as possible. Contact our offices today to schedule your free initial consultation.